Watch the cross country preview on the Burghley.TV site. You can watch the action live or on demand. The Land Rover Burghley Horse Trials are underway and if you didn’t get enough equestrian coverage during the Olympics, this should be a great treat. Burghley always does a great job of making the coverage accessible — and free. 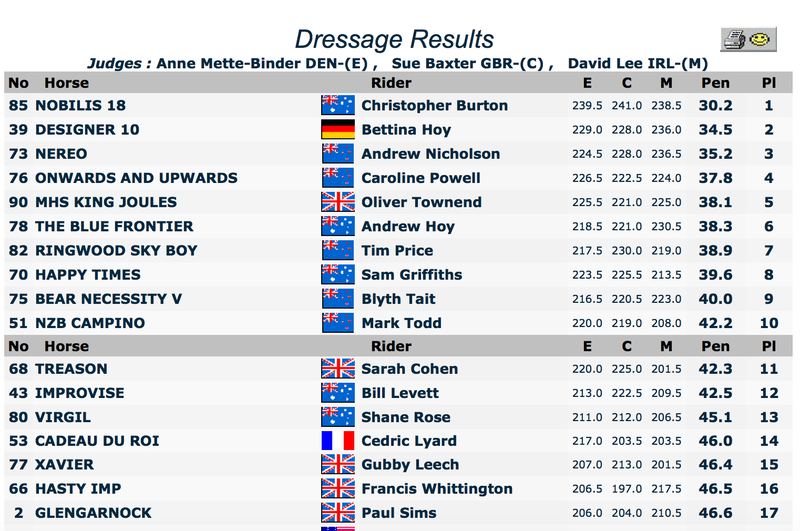 After dressage, New Zealand and Australia dominated the standings, with Bettina Hoy (2nd) and Oliver Towend (5th) breaking the trend. Andrew Nicholson is back in fine form after recovering from a broken neck last year. Cross country starts at 11:15am GB time (6:15am US eastern) and the last horse is due on course at 3:45 pm (10:45am US eastern) but you will able to watch on demand on Burghley.tv. It being the UK, it is supposed to rain tomorrow so fingers crossed that the footing stays good.